Classic Festival and Carnival Attraction! Description: This party favorite will have you either soaking wet or laughing hysterical. 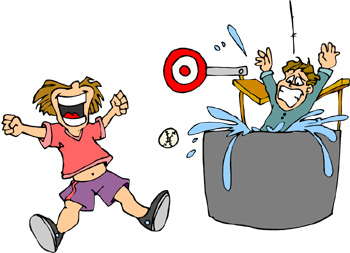 Our Dunk Tank is great for a hot summer day, great for picnics and outdoor parties, it's a great way to get back at the boss or get even with friends. 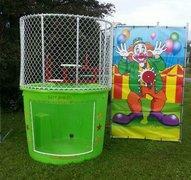 Enjoy hours of safe and cool water fun with the E&Z Dunk Tank. NOTE: Customer Responsible for Water Fill Up.